Our goal is to increase student awareness in the area of clinical pharmacy by providing information about opportunities and careers within the field. The organization promotes the development of leadership and other skills necessary to perform duties required by a clinical pharmacist as a member of a multi-disciplinary team, encouraging excellence in patient care, research and education. Visit our site for more information! Dinner and Discussion is a place where SCCP Members can meet with distinguished professors and discuss current events in pharmacy. Dinner is always included! Some of our recent discussions have included the topics of geriatric medicines, medical marijuana, and pain management in the elderly. We are always open to new speakers and new topics so come in to see what everyone is talking about! SCCP members gather together with professors to discuss new and exciting developments in pharmacy. We create podcasts to share our thoughts and perspectives on these topics with others in the profession. 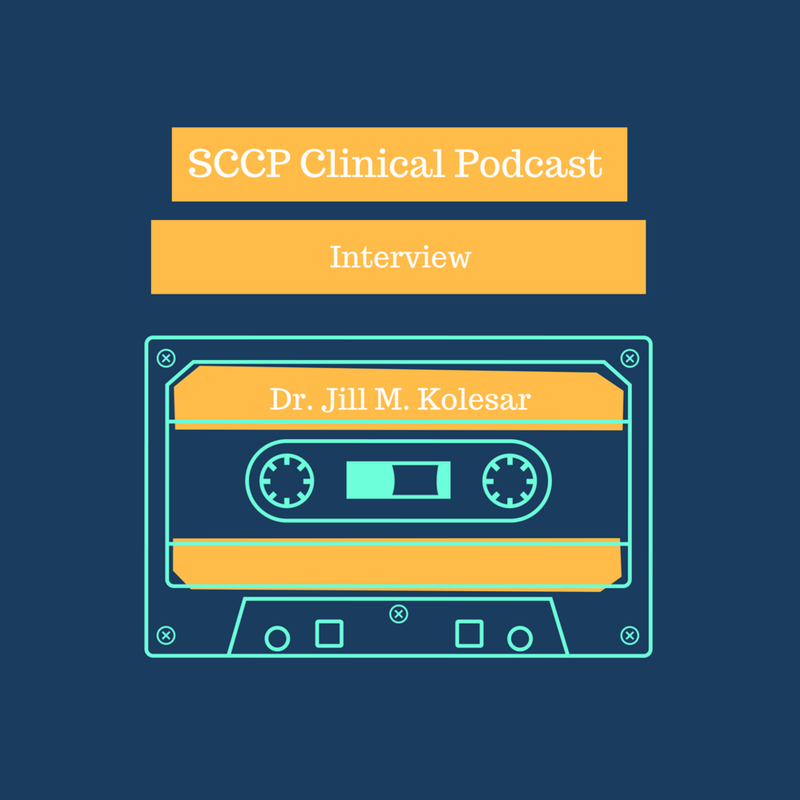 Recently we spoke with Dr. Jill Kolesar, the President of ACCP, about her perspective on pharmacy and her advice for current students. With the guidance of a faculty member, SCCP members critically evaluate recently published journal articles. Past faculty members who have participated in this event include Dr. Woodruff and Dr. Meaney. This past year we discussed on the LEADER Trial about the effectiveness of Victoza (liraglutide) in reducing cardiovascular risk in patients with type 2 diabetes. It is now recommended as one of the GLP-1 agonists in the AACE and ADA guidelines.